History was built on Broadway. The historic 13-story theater was built in the 1920s by Arthur Hammerstein. It was initially named the Hammerstein Theatre. Located at 1697 Broadway in Manhattan, the theater first opened its doors on November 30, 1927, after which time it housed performances of musicals. From its inception, the theater has been a place for the highest quality performances and talent, staying true to its mission to celebrate the arts on the busy street of Broadway. Hammerstein's ownership of the theater ended in 1931. It found a home with CBS in 1935. It was originally used as a radio broadcast station, so CBS tested out names such as Radio Theater #3 and CBS Radio Playhouse. In 1950, CBS once again transformed the the space. With broadcast television becoming increasingly popular, CBS turned it into a television studio. 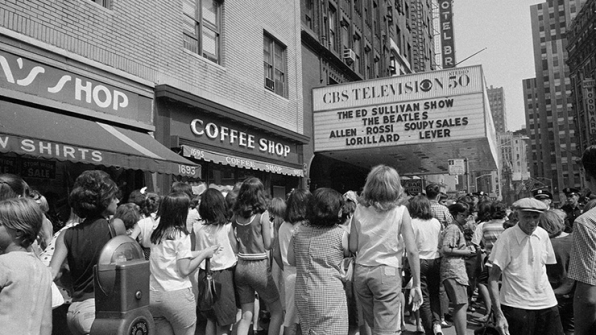 For the next 17 years, the theater held the name CBS-TV Studio 50.